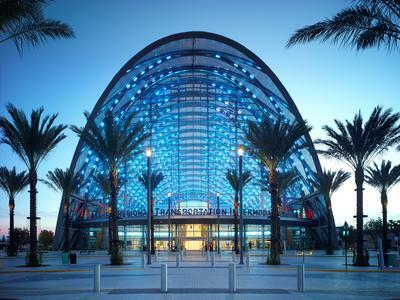 The "Anaheim Regional Transportation Intermodal Center" (ARTIC), a traffic hub in Orange County, South California which opened at the end of 2014, will be used by more than forty million visitors and travellers every year. This transit station links many diverse means of public and private transport and in addition houses restaurants and shops under a building shell made of film cushions. The films extruded from 3M Dyneon Fluoroplastic ETFE are part of the reason why the building is certified to the highest US environmental standard for buildings, LEED Platinum. The architecture of the ARTIC concentrates entirely on a bright, light-flooded ambience. 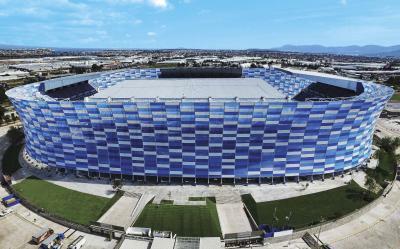 The exterior shell of the three-storey building consists of 160 three-layer inflated film cushions. The Bavarian company Nowofol Kunststoffprodukte GmbH & Co. KG extruded about 19,000 sq. 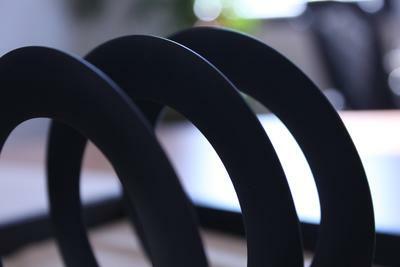 metres of NOWOFLON® ET 6235Z film from the high-performance material 3M Dyneon Fluoroplastic ET 6235Z. The underside of the upper film is printed in order to reduce the direct incidence of sunlight. The G-value of the cushions is so low that the ARTIC requires no air conditioning, despite the hot climate. At the front ends, 37 metre high glass facades open up the view into the interior. Hinged segments enable natural air circulation in the three-storey building when necessary. The two porches made of film cushions are joined almost seamlessly to the building shell. The steel support structure forms a diamond-shaped network for the film cushions and is three-dimensionally curved. Vector Foiltec was responsible for the construction of the support frames and their connections to the support structure as well as for the assembly and installation of the film cushions. 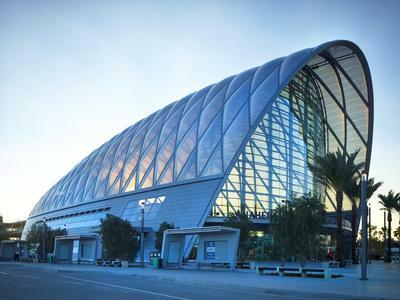 The company’s Texlon® ETFE system focuses entirely on structural film construction with ETFE films and has realised a large number of projects worldwide in the past decades. A particular challenge in the case of the ARTIC was the increasingly smaller radii of the support structure from the eaves up to the roof ridge. For that reason, Vector Foiltec had to pre-bend the sail tracks of the frames in some cases while still maintaining their function as film fasteners. The roof ridge cushions are designed for high loads and the cushions of the northern porch, the main wind direction, are additionally reinforced by wind suction ropes. The building fulfils the LEED Platinum certification. 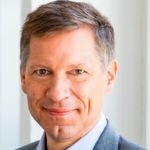 The Leadership in Energy and Environmental Design (LEED) is a classification system defined by the US Green Building Council for environmentally friendly, resource-saving and sustainable construction. The building's energy consumption is about 34 percent lower than the defined limit. In addition, solar cells on the car parks generate 20 percent of the required electricity. Beyond that, the LEED Platinum environmental standard places high demands on the use of recyclable building materials. 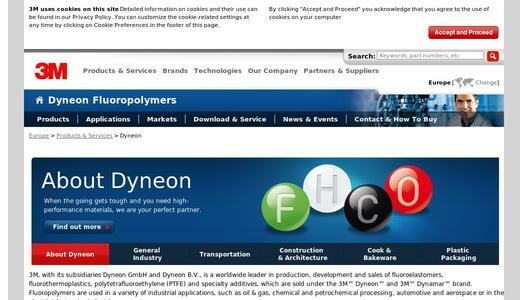 Films made from Dyneon ETFE can be fully recycled. On top of that, the films are 95 percent lighter than glass. That allows the support structure to be very slender, thus saving resources in its manufacture, contributing once more to sustainable building.